Door stops are a utility component. They are fixed in the center of the door frame. They are a buffer that allows doors to close properly and seal together the door and frame. 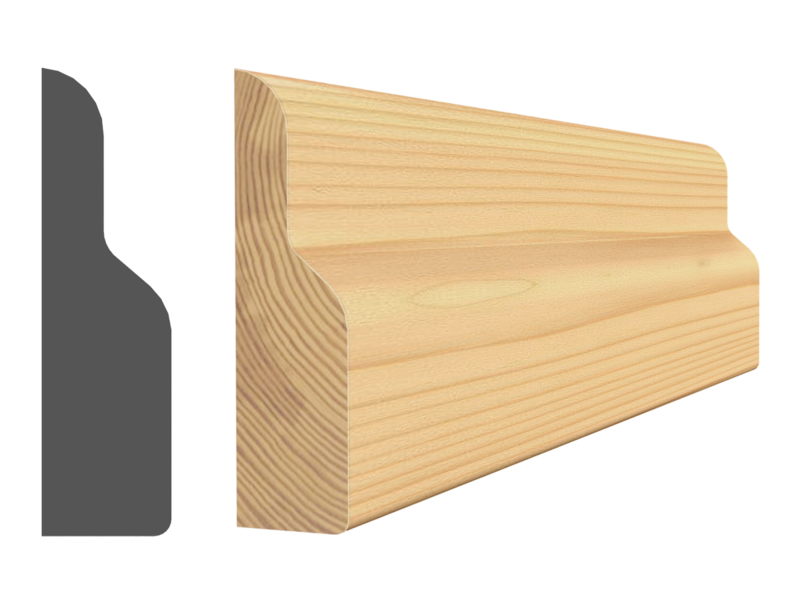 Top grade solid clear softwood; Select grade quality means wood that is almost completely flawless with only the occasional tiny knot. This wood grade is prized for the superior quality finish it provides. High dimensional stability, solid white pine can be used indoors or outdoors. 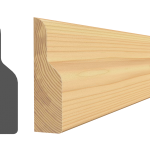 Solid Select Pine is normally dyed or varnished and used to maintain the appearance of the woods grain. It is strongly recommended to lightly sand the wood moldings and clean them before dyeing or varnishing. Humidity and temperature changes (sunlight, heaters, fireplaces or other heat sources) can cause resin seeps that pass even through dyeing. Clean the resin with turpentine. 48 to 72 hours before installing, allow the wood to acclimate to air at ambient heat. Do not store in the basement or in an unheated garage.